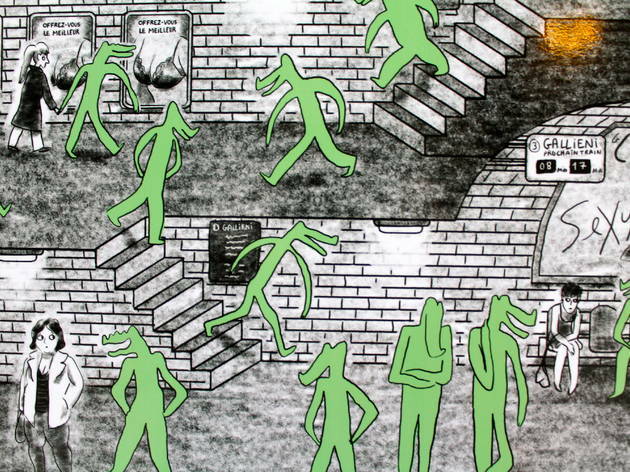 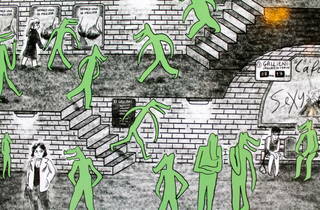 In Thomas Mathieu’s drawings, sexual harassment gets the spotlight. 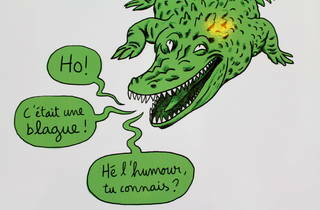 Since 2014, Thomas Mathieu has been using crocodiles to illustrate the daily sexism and sexual harassment women face across the city, inspired by the stories from his own female friends. 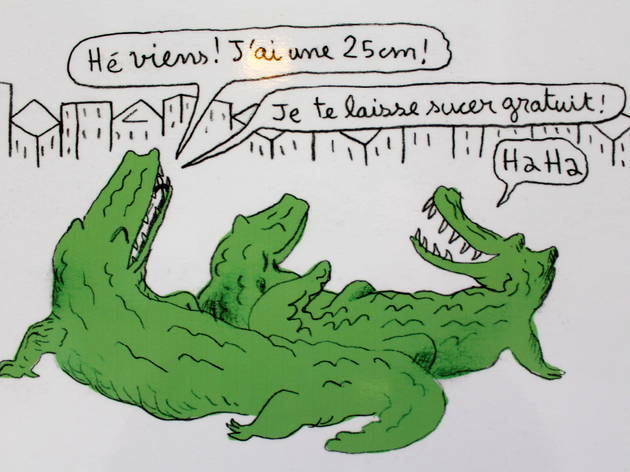 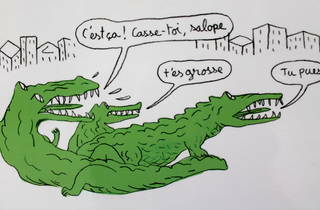 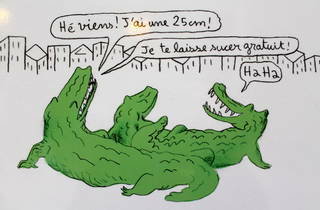 Until March 16, the mayor’s office in the 18th arrondissement presents ‘Project Crocodile,’ a collection of several of Mathieu’s original drawings that feature crocodiles saying many of the obscene words that men hurl at women on a regular basis. 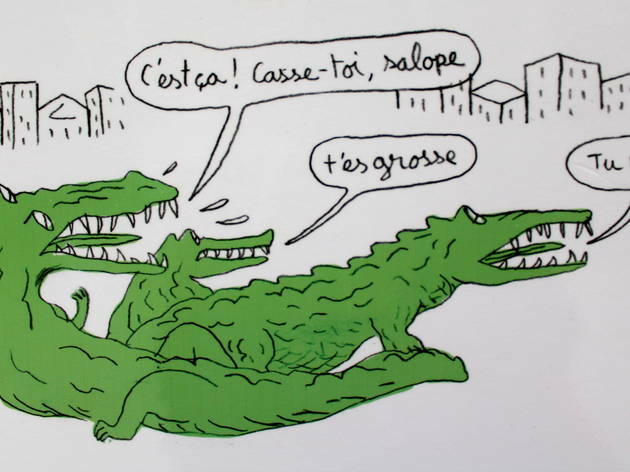 With his simple and subtle illustrations, the artist presents harassment as a real issue without completely stigmatizing all men, focusing instead very specifically on the words and actions that mar urban life for many women. 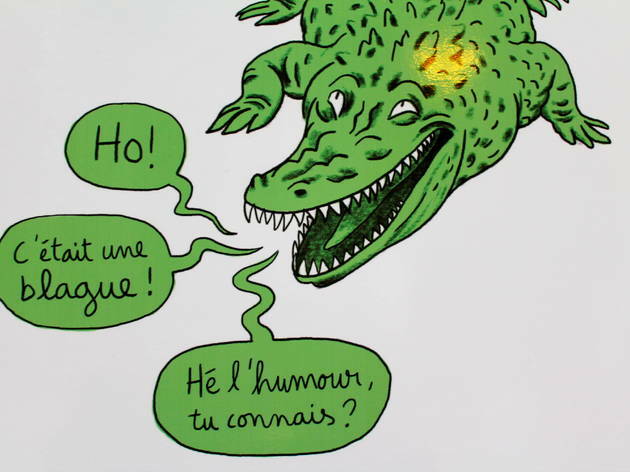 In doing so, Mathieu’s art speaks to both men and women, highlighting the problem and also offering reassurance that someone else has noticed it too.